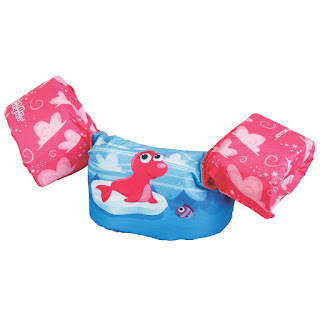 Today, December 18th only, hop on over to Amazon.com where they are offering up to 40% off camping and swimming gear including these Kids Puddle Jumper Deluxe Life Jackets with awesome reviews! These life jackets are US Coast Guard-approved and are comfortable enough for all-day wear. They're designed for kids weighing 30 to 50 pounds and have an adjustable buckle at the back for a secure fit.